Today, we’re diving into one of the most divisive topics in the investing world – the future of Elon Musk’s electric car company, Tesla (TSLA). …or they despise Musk and his company. Today, we’ll offer an insight most folks have overlooked about Tesla… regardless of which side they come down on in this debate. So no matter where you stand… stick with us. At the very least, you’ll learn something that most folks don’t get about the controversial carmaker. As you’ll see, it’s the key behind why Jeff Brown, our tech investing expert here at Legacy Research, is bullish about the company’s future. It is. And there’s good reason why Musk divides opinion the way he does. For instance, he regularly gets into battles on Twitter. 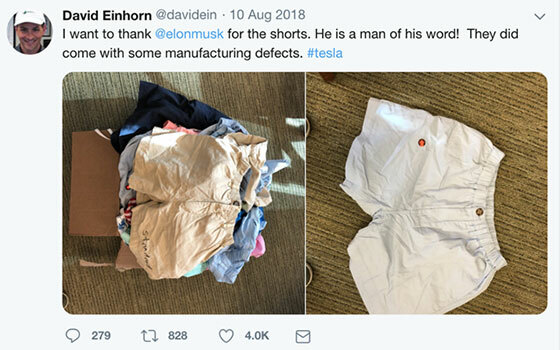 After billionaire fund manager David Einhorn bet against Tesla at his Greenlight Capital fund… Musk mailed him a box of shorts to taunt him. He was referring to claims that Teslas have an unusually high ratio of manufacturing defects. Last August, Musk caused another kerfuffle when he tweeted that he had “funding secured” to take Tesla private at $420. That was a 20% premium over the stock price at the time. Tesla’s stock price shot 11% higher on the day of Musk’s tweet. And according to one estimate, investors who were “short” Tesla stock – in other words, betting it would fall – lost more than $1 billion that day. But Musk was unable to back up the claim. And the Securities and Exchange Commission (SEC) – the main U.S. stock market regulator – sued him for fraud. 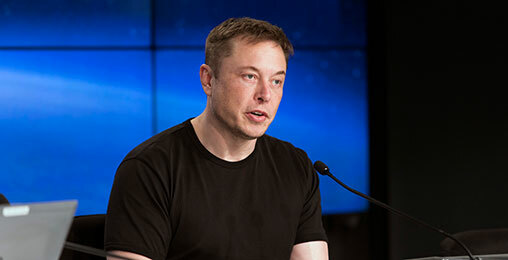 Musk settled the case for $20 million and agreed to step down as chairman of the Tesla board. As if that wasn’t enough to scare off investors, he then went on the popular Joe Rogan Experience podcast – video of which was livestreamed on YouTube – and smoked a puff of a joint. Cannabis (as we’ve been covering) is fully legal in California, where the two were at the time. But folks still aren’t used to seeing CEOs of major companies smoke pot in public. And Tesla’s share price plunged 9% that day. Is Tesla’s Worst Nightmare Coming True? It’s 3:22 am. Elon Musk is pacing in the living room of his Bel-Air mansion. He can’t sleep. His mind is racing. “Will this destroy everything I’ve worked for?” he wonders. In the second half of last year, Tesla managed to eke out two profitable quarters in a row for the first time ever. But Musk’s firm had to lay off 7% of its full-time staff to try to stay in the black. Meanwhile, many investors are still skeptical that Tesla can consistently meet its production goals for its new mass-market Model 3 sedan. The company ran into serious production hassles last year at its Fremont, California, production plant… which meant long wait times for customers who had pre-ordered cars. In short, Tesla faces serious challenges. 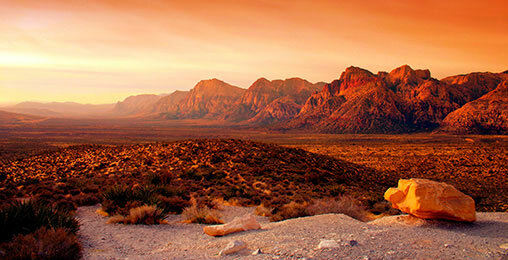 And in the mainstream press – even here at Legacy – there’s no shortage of bearish takes on the company’s future. If you don’t know him already, Jeff is a private investor in early-stage tech startups. Before joining the Legacy team, he worked as an executive in the semiconductor… IT networking… automotive… and consumer electronics businesses. But around Legacy, he’s best known for his track record at our two tech investing advisories, The Near Future Report and Exponential Tech Investor. Last year, across the two model portfolios, he had the No. 1, No. 2, and No. 6 best-performing stocks in the Russell 1000 Index, which tracks shares in the largest 1,000 U.S. companies. And 14 of his recommendations were in the top 10% of gainers in the index. But not as a carmaker. Every other carmaker buys or builds an engine, a chassis, fills in the rest of the details, and then writes software to assist in controlling the car. Tesla is the opposite. It has designed a software architecture (including AI) and built a car around it. Another way to think about it is that, for Tesla, the software comes first, then the hardware (chassis, engine, tires, seats). In fact, Tesla’s vehicles are so much like a computer’s software operating system, the company is able to “upgrade” the car several times throughout the year. In other words, anytime Tesla has a software update for its fleet, it simply pushes it out… just as Apple does with updates to its iOS operating system on the iPhone. With the competition, you have to bring your car back to the dealer to have a software update installed. It’s like having to make the trek to your nearest Apple store every time a new update comes out for your phone. And most of us don’t want to deal with that hassle. To be able to navigate safely… and avoid accidents… the AI software onboard a self-driving car “studies” data from past journeys. Then it “learns” how to be a better driver. The more miles of data it has, the more the artificial intelligence can study, and the better the car can drive. That’s where Tesla has another advantage. According to a team from the Massachusetts Institute of Technology (MIT), Tesla cars clocked 1.5 billion self-driving miles through last September. Compare that with Google’s Waymo self-driving cars. They’ve completed less than 1% of Tesla’s self-driving miles. Each Tesla car is connected to Tesla via a wireless network. And its fleet of self-driving cars is collecting driving data, images, performance data… everything that an AI needs to learn and get smarter… every single day. Real-world data is the single most valuable asset necessary to train an AI. And no other company on the planet has the network in place – nor the data – to compete with Tesla. It leads to an interesting theory about the man behind Tesla. As Jeff has been telling his readers, if Tesla’s competition catches onto what it’s doing with software and AI, it could cut the lead that Tesla has in the market. So maybe Musk isn’t as eccentric as he seems. Maybe his stunts are designed to distract the market from what’s really happening inside Tesla. We’ll have more for you on this controversial call on Monday. Meantime, keep an eye on your inbox for our regular mailbag edition of The Daily Cut tomorrow at 5 p.m. ET. And don’t forget to send your thoughts on Jeff’s investment case for Tesla. Has he lost the plot with his bullish call? Or is he onto something? If you’re a Tesla owner, don’t hesitate to share a personal story about your experience with the car. As always, you can reach us at [email protected]. My feeling and observation is that there is no more adolescent institution in this world than government. We can now maybe add multinational corporations to it. When governments and corporations coddle to the quarterly gratification of the constituency or shareholders, then all common sense of financial responsibility gets thrown out the window. It seems also, to me, that our republican democracy is soon to fall prey to a dictatorial presidency like the old Roman Republic. At that point freedom will be lost forever. God, help us all. I am convinced there is more than stupidity at work here. There is serious evil behind the screens. Evil is extremely cunning, and excellent at hiding. Divide, so as to allow you to easily rule. Make religions hate each other. Create distrust between men and women. Between young and old. Between races. Between countries. Johann Goethe famously mentioned there are no better slaves than the ones who ignore they are slaves. Give people at the same time loads of entertainment as well as loads of problems in their personal lives, so as to take away their time and energy – that will prevent them of even thinking of revolution. Install the perfect Big Brother system with metadata, and cameras, and a cashless society, and vaccines containing readable microchips, to make any reversal of the situation close to impossible. Hands down the single best instructor I’ve ever viewed. That would be Jeff Clark. I just joined the Delta Report and have only finished three of Jeff’s training videos and all I can say is, “Wow, what took me so long?” I’ve done some option trading (mostly selling out of the money puts and calls) but I suspect that this service is going to take me to an entirely new level of proficiency. I can’t wait. Is freedom lost in America? Will democracy fall prey to a dictatorial presidency soon, like Ron A. says? Join the debate at [email protected].